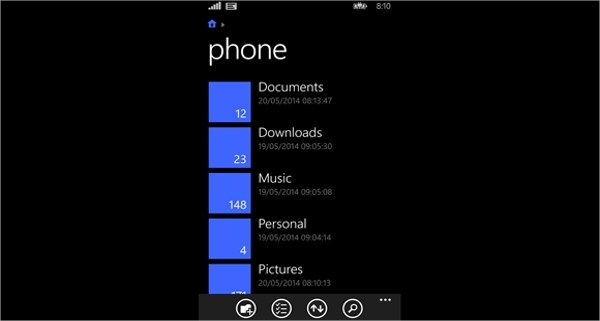 Millions of people all over the world uses Windows phone, but windows yet to develop any specific file manager for their Phones. 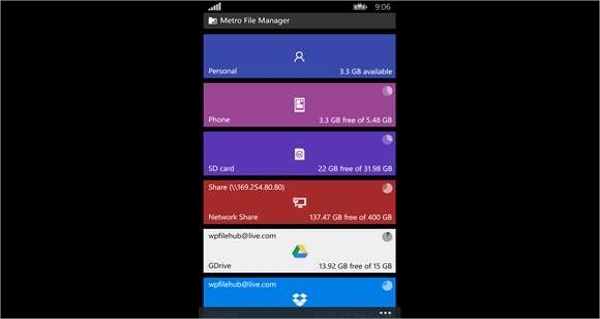 Hence, Windows phone users need to depend on file manager apps that can be efficiently used in their phones. User can move, copy paste, rename and add a new folder. Can easily inspect properties of files and folders. Can make “shortcuts” for specific files and folders in the screen if required. 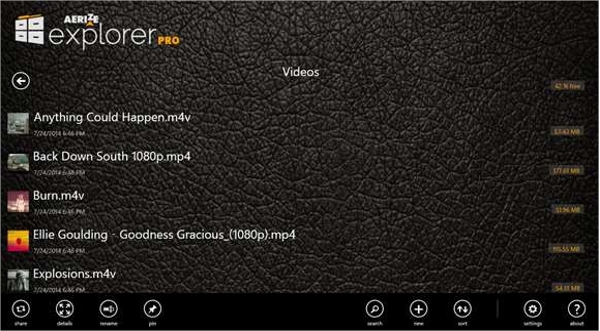 Videos are all viewable through this file manager. File transfer from PC to this File manager is possible through WiFi or SD card. File Encryption facility is also available. It can extract files from zip, tar, rar and 7zip. Compress files to a zip file. Can create short cuts on the phone’s screen for easy access of files and folders. User can move, copy and delete files in the Dropbox. 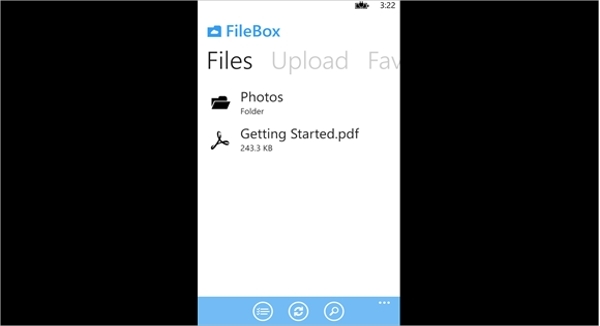 Upload and download files from the phone to the Dropbox. This file manager can be used to directly search for files in the Dropbox. User can share files or a folder through this file manager with the help of different sharing options. Can inspect files and folders various properties to categorize those files and folders. 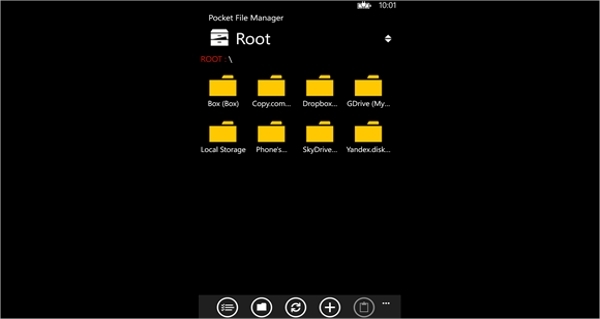 Can organize files from any Windows phones or can be used from PC to organize files and synchronize for later use in the phones. Can personalize the folders and can also hide the folders in the phones. Can share the files with all common types of apps and can also share the files through WiFi and Bluetooth. Can extract files from zip, tat and rar etc. Can manage text documents. Images, and music files. 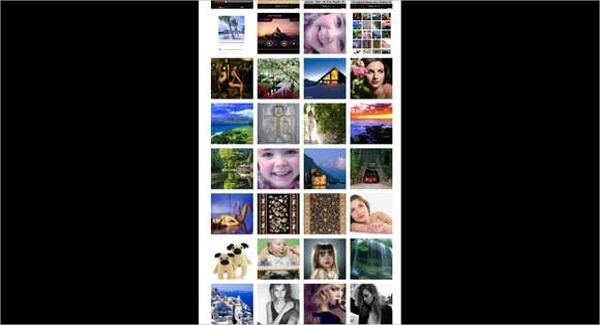 At the same time can play music files and display images through built-in software. Can detect pdf and rar files but need supporting apps to read them. Can also manage files in SD card and can also send and receive files through WiFi and Bluetooth. 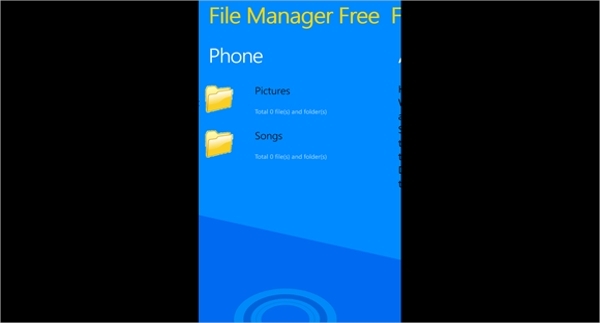 File managers are very important apps for those Windows phones users who need to manage different types of files on regular basis. Users just need to select the right kind of apps by viewing the features of various file managers that will meet all their requirements efficiently.